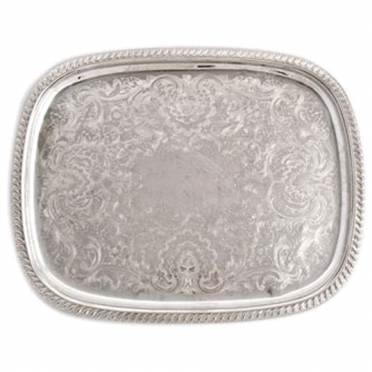 This vintage tray has a rectangular shape and silver-plated finish. It is a smart addition to a black-tie event and brings an elegant feel to any celebration. The large size is perfect for holding a generous amount of hors d'oeuvres or beverages. When you want to create a classy atmosphere, this tray is an ideal piece.